Imagine having a lamp that turns down the volume on your TV when you dim the lights, or a car that switches on your home air conditioner when you leave the office. Now all this is possible thanks to a new app developed by Massachusetts Institute of Technology’s Fluid Interfaces Lab. The Reality Editor is an augmented reality app that lets you link the smart objects around you together, just by drawing connections with your finger between them, Fastcodesign.com reported. It uses fingerprint-like codes that sort of look like Pentagram’s new identity for the MIT Media Lab to identify smart objects when viewed within the app. It then calls up a literal HTML webpage, representing that object’s corresponding functionality, and overlays it on the gadget so you can programme it. “Imagine a future where everything around you can be controlled,” app developer Valentin Heun was quoted as saying. “It goes to the deep origin of humanity: we are tool makers. We build empowering tools, to manipulate the world around us,” Heun added. Right now, companies like Amazon and Google, which are designing objects for the smart home, use artificial intelligence and big data to try to anticipate users’ needs: in the case of the smart thermostat Nest, what temperature someone likes, for example. But Heun says this is reductive, because the Internet of Things should actually empower users to have more control over the world around them, not take it away. 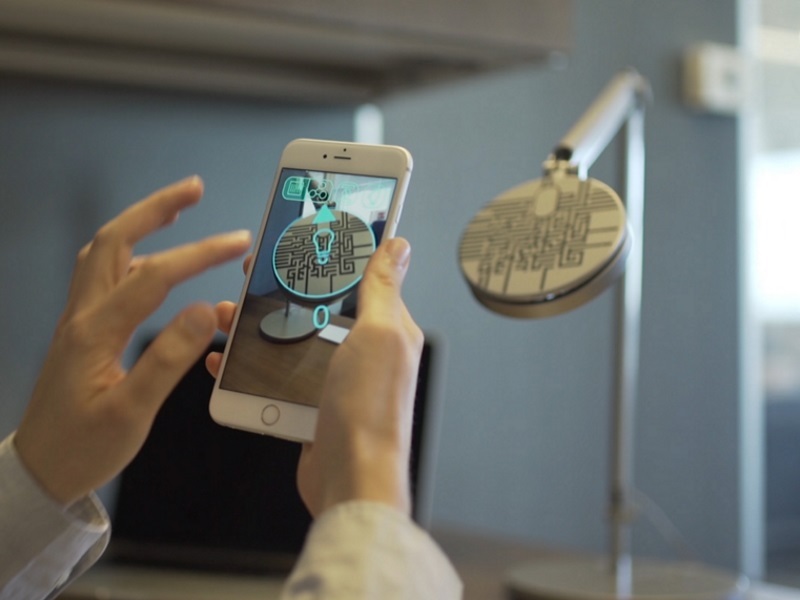 The app aims to give users power to fully control the smart objects in their lives. Right now, the problem facing the app is support. If you have the know-how, you can build adapters for all the major smart objects.